PRIORITY: PRomotIng Open Resilient Inclusive socieTIes for Youth is an innovative 36 months project that involves 4 countries and 5 organizations such as youth organizations and networks, cultural and sports organizations, training centres, as well as private and public entities and has as aim to increase the capacities of the organizations that work with youth to invest in prevention by removing breeding grounds for radicalisation and act as forces of inclusion, to empower young people from disadvantaged groups to engage, participate democratically and drive positive change in communities, through the use innovative methods and practices coming from the combination of youth work, training, cultural mediation and sports fields. 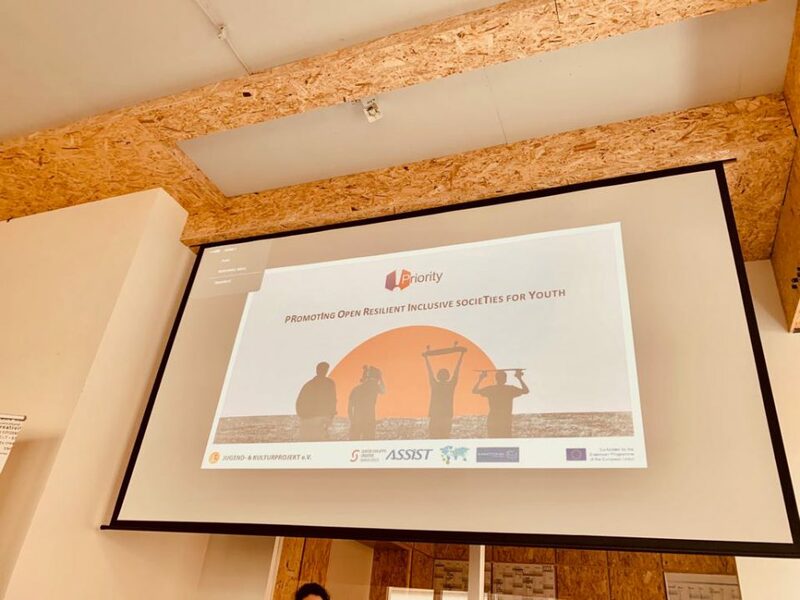 to develop, test and upscale safe inclusion youth environments named “PRIORITY Hubs” with a bottom – up approach and youth initiative that will be based on cross sectoral cooperation of local stakeholders that support youth inclusion with tailor-made activities/ interventions adapted to local circumstances. Capacity building activities for youth workers, trainers, educators, youth leaders, NGO members, volunteers, policy makers, teachers, cultural mediators, sports educators on the major issues on the causes of marginalization and violent extremism of young people and their prevention. PRIORITY Toolkit: Identification and selection of best practices in the field of sports and cross-cultural mediation field for the prevention of marginalization and violent extremism of young people, and development of blended best practices manual with the combination of the above methodologies. Creation of pilot physical/onsite and online/virtual PRIORITY Hubs at local level where all sectors (e.g. schools, municipal services, sports / cultural clubs, communities, NGO’s) surrounding young people including their families can come together and discuss issues that concern them, seek guidance and establish contacts. 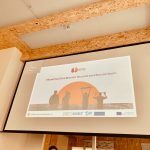 Events with young people connected with the European Year of Culture: synergies with cultural heritage organisations, representing the living arts (music, dance, theatre, storytelling). -educators, trainers, youth workers, teachers, sport educators and cultural mediators, on the themes of prevention of radicalization and violent extremism of young people with the use of PRIORITY Methodology on Sports and Culture Mediation, Youth Work and non-formal education. – young people willing to become young mediators (among them there will be also young people from disadvantaged groups such as young people of migrant and refugee background. 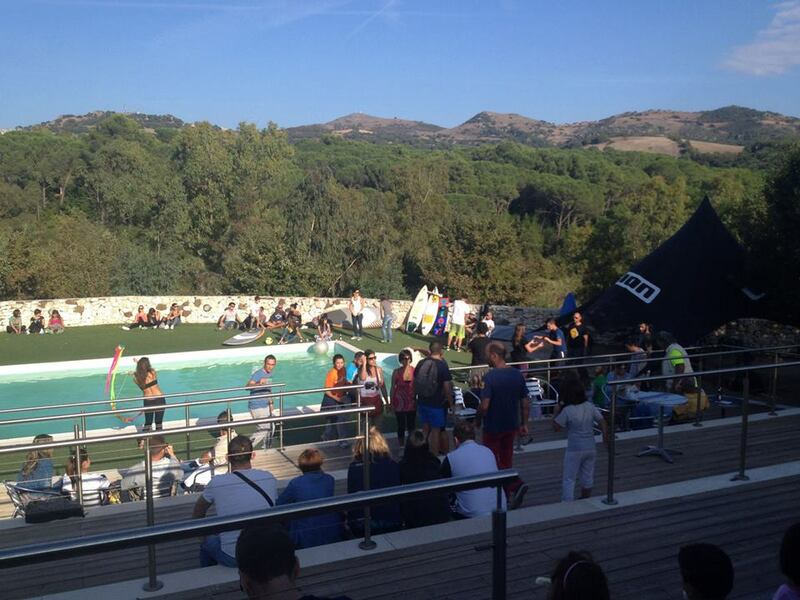 The project was entirely funded by the Municipality of Olbia and implemented by MVNGO. The activities involved 2 classes of the third High School year of the Institute and were implemented by two collaborators of MVNGO, a Trainer expert in Non Formal Education and a Facilitator. “Photovoice Olbia” was a project involving youngsters aged between 16 and 18 from Istituto Superiore Amsicora IPIA, also through the use of communication media as photographs and videos, developing their creativity and putting the latter to the service of the citizenry through the promotion of active citizenship. 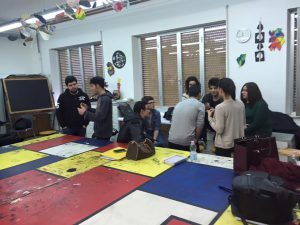 “Photovoice Olbia” activated a path allowing young people to develop their own points of view regarding the world surrounding them as well as to exploit these as tools of social change through the use of photography, videos and group discussion. The language of imagery, easily accessible for young people in particular, was combined with text language by the development of digital instruments and of widespread tools as smartphones, bringing into being an original and innovative methodology of research and analysis about urban contexts and ordinary life experiences, which contributed to the development of the critical thinking of the youngsters involved, giving voice to marginalized individuals and areas of the city. 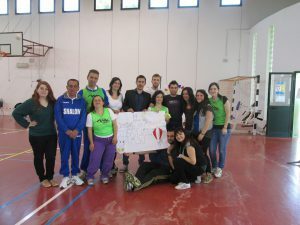 “Chance for a Change” was held in Sardinia in 2014. 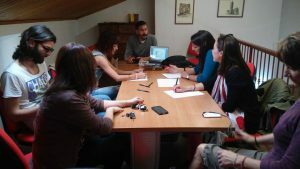 The promotion of Green Skills in Sardinia was the main objective of the project granted by Fondazione Banco di Sardegna. This project was implemented in the Olbia Tempio Province. Following the current economic crisis in the tourism sector, much of the population aged between 18 and 32 years, especially women, at one time used at least seasonally in the tourism industry, it is unemployed or, even worse, unoccupied . 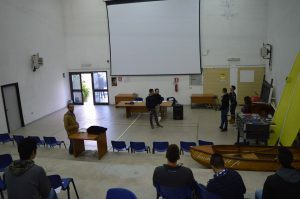 In this context it is necessary to develop new skills to guarantee the possibility of devising new forms of employment and self-employment which have to be compatible with the tourism economy that characterizes the Gallura Region. 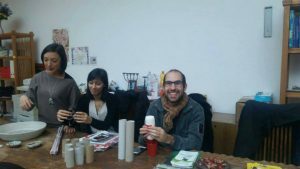 We proposed to create new artistic and technical skills in the collection of polluting materials for the creation of “green” products (recycled) that have a real value in use (eg, lamps, storage , landscaping items , small furniture the house etc.) and a value of “artistic”. The object then was to create and develop in recipients of second instance a set of green skills that are the necessary condition for a possible development of a processing techniques of “waste”, urban and not, thus triggering of professional competences in the context of a new green economy. “Decisamente Abili! 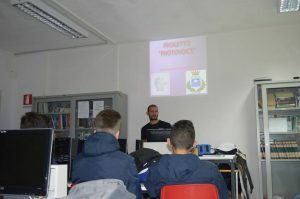 ” was a follow up action of the Initiative Youth (Youth in Action Programme ) undertaken by MVNGO and granted by the Fondazione Banco di Sardegna . 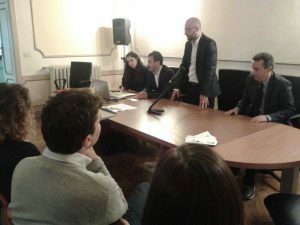 The overall aim of the project was to create a group of young people enable to be volunteers in our region to support the activities of local associations, such as Mine Vaganti European Youth Group and Amici del Sorriso. 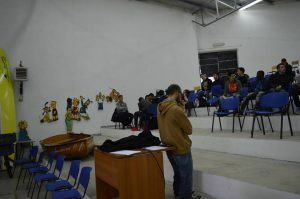 MVNGO which promotes mobility through European Community programs, after taking part in a Study Session on physical disability, involved the second, who has been working with young people with Down syndrome by offering innovative theater methods to include them in Gallura’s community. 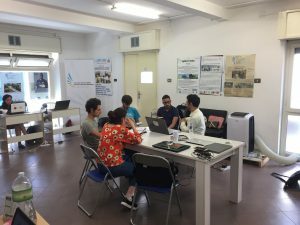 As an association MVNGO has experienced these dynamics taking part in some European projects, thanks to the participation in activities sponsored by various Community programs such as Youth in Action. 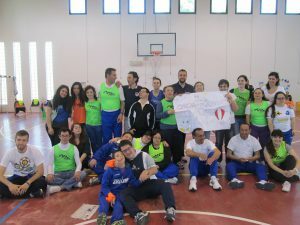 Unique and fundamental objective of the two associations involved, MVNGO and Amici del Sorriso, is the sharing of skills: the individuals with disadvantages, depending on the context, were represented by disabled children or youngsters from Gallura. At the end of the project, the whole Group gained new skills and constructive acceptance of its limits, the group was finally united in being differenty abled! 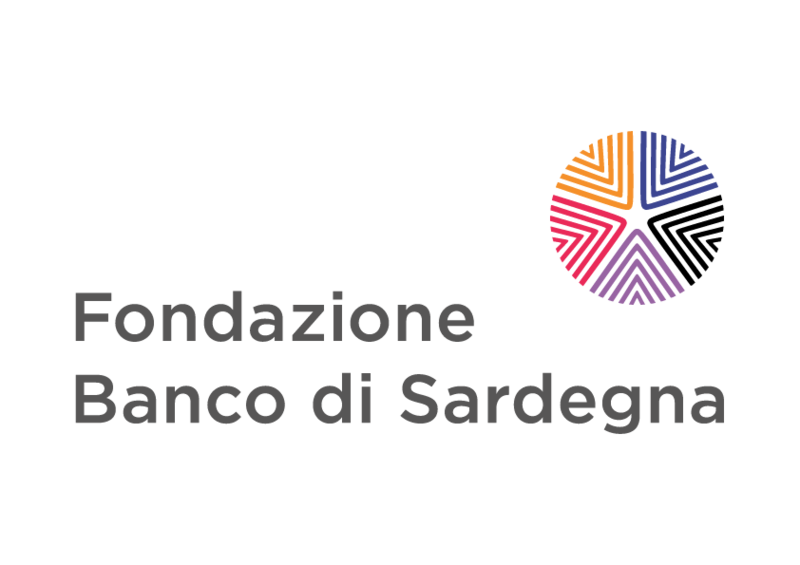 Thanks to the support of Fondazione Banco di Sardegna it was possible to carry on additional activities to support those already implemented during the Youth Initiative. 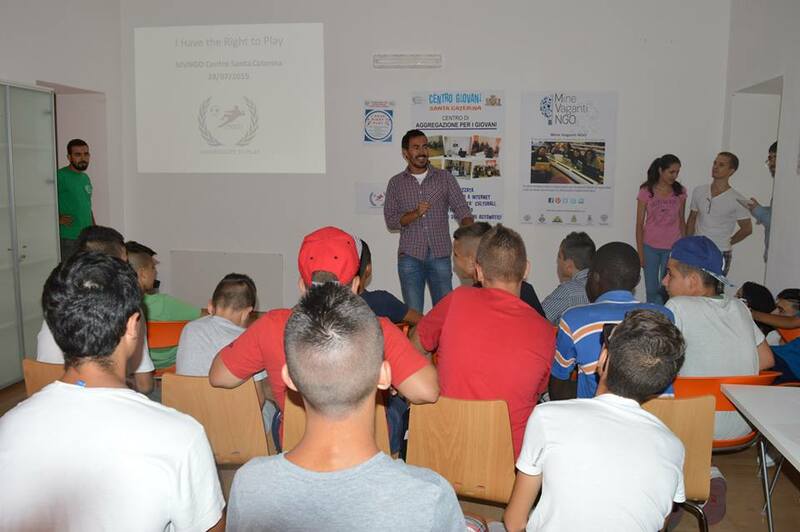 On July, tuesday 28th, MVNGO will implemented the project granted by the Foundation, “I Have The Right to Play”. The Global Network for Rights and Development (GNRD) is an international non-governmental organization established in June 2008 with the aim to enhance and support both human rights and development by adopting new strategies and policies for real and lasting change. GNRD has established the project “I Have a Right to Play” (GNRD-RTP) to utilize the powerful tool of sport as a human right instrument. 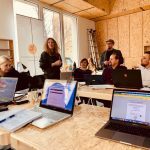 With this project GNRD aims to shed a light on children’s unequal rights to play in a safe environment and focuses on supporting the most vulnerable groups of children worldwide, by advocating and raising public awareness about their poor social and economic conditions. 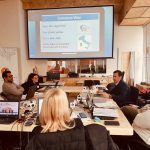 One of the first projects of Global Network for Rights and Development (GNRD) in Italy was implemented in the second largest city of Sardinia Sassari in cooperation with Mine Vaganti NGO. Event with a name “I Have a Right to Play“ took place in Centro Giovani Santa Caterina, which was open for kids and youngsters from the city with fewer opportunities and economicaly poorer conditions in order to support their interests and increase their capacity to effectively participate in society. One of the main goal of the GNARD is to promote human rights through sport. During the event participants had a chance to play football for their rights. Every one of the participants had their own role and condition which allowed or do not allowed him to play the game for a short time. This role acting help them to imagine, what kind of barriers would not allow them to play the game in their lives if they suffer from one of the conditions. Most of the kids and youngsters who regularly visited Centro Giovani Santa Caterina did not have access to many sport facilities. They are in the age of developing the relevant skills which could be determining their future career. Because of that critical point of their age every event which support them being active and to be aware of their rights is beneficial for them. The young participants, aged between 10-17 years, took part in fun activities under the slogan “Let’s Win our Rights” in the company of local officials and teachers. Except of the skills usually gaining through the game as teamwork, respect, self-confidence, fairplay and solidarity, participants additionaly expanded the horizonts of their rights. 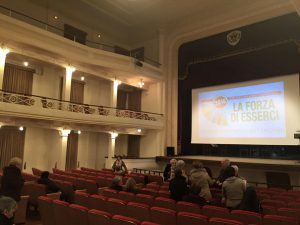 During the event supported by GNARD, they could enjoy the game in the center of the Sassari with the support of the audience , proffesionals and after the briefing and discussion awards and gratulations. 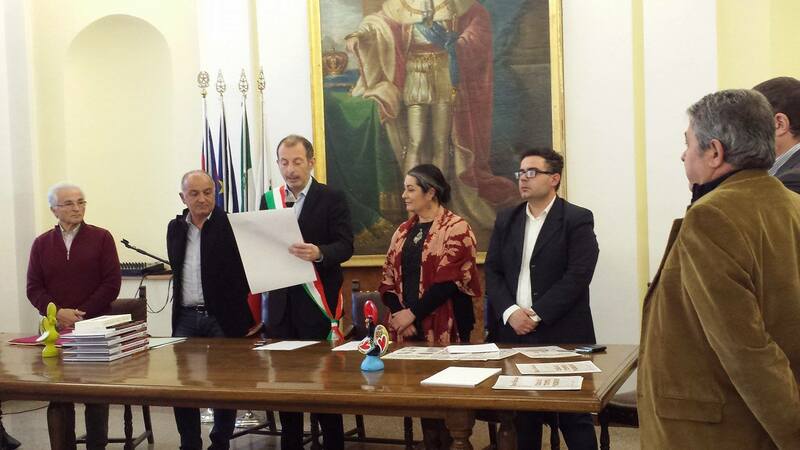 Roberto Solinas, President of MVNGO on behalf of the cooperating team and participants is thankful GNARD for creating and supporting event „I Have a Right to Play“ for the young generation of Sassari. The project “Enjoy Tourism” was aimed to build a network of partners active in the field of seaside tourism in two Mediterranean countries affected by economic crisis. 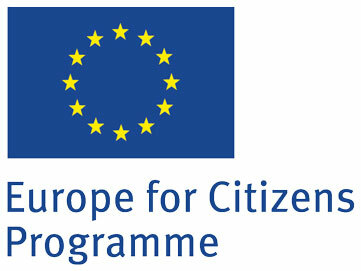 The main aims were: to promote transnational cooperation among, sharing and transfering information, good practice and knowledge on improving the quality of the life through tourism, specially regions in crisis or conversion, to create a transnational, crossborder learning network on tourism strategies in southern regions, to improve the quality of Tourism by strengthen the involvement of civil society. Olbia and Aljaraque have many similarities: they belong to a Southern EC, they share the same Mediterranean culture, they are facing the same problems with the economical crisis and their economy is mainly based on tourism. The project consisted in gathering 60 participants of different ages from both municipalities to create a moment of knowledge and mutual understanding and an occasion for exchanging ideas, raising awareness about common issues and studying solutions to common problems, discovering respective cultural heritage and having the pleasure to meet each other. The main theme of the project was be based on the promotion of euro-mediterranean tourism (common roots) mostly focus on their traditions. This project aimed at gathering information about the present condition of tourism education in both countries, to provide support to workers in tourism industry with the opportunities of sharing best practice and know how. This project purported itself to raise awareness of the valorization of both traditions in order to attract tourist creating new perspective of employement. We wished to strengthen cooperation through the creation of a network of partners. In the context of the above, the two municipalities will read and sign the Twinning Oath. Mine Vaganti NGO developed a project called “Fill My Value Backpack” in Kenya, in March 2014. The goal was to trasfer Sport and Non Formal Education Methodologies to more than 3000 children through local Youth Leaders. 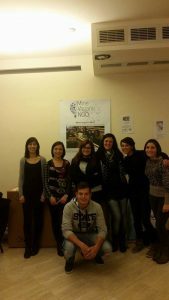 MVNGO was the coordinating organisation of the Europe for Citizens project “Discovering ancient Roots”. The aim targeted by the Project was to underline the importance of European integration through traditions. 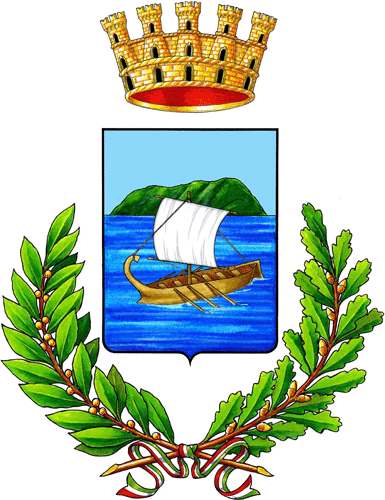 The Municipality of Nuoro in Sardinia (Italy) and Elche in Spain have many similarities: they share very ancient roots and common values. Ancient traditions are fundamental veichle for promoting a sustainable tourism for their territory. 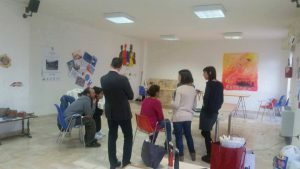 The project consisted in gathering 50 participants of different ages from both municipalities in Sardinia to create a moment of knowledge and mutual understanding and an occasion for exchanging ideas, raising awareness about common issues and studying solutions to common problems, discovering respective cultural heritage and having the pleasure to meet each other. The main theme of the project was based on the promotion of social tourism (common roots) mostly focus on traditions like carnival, folks, food and beverages, etc. 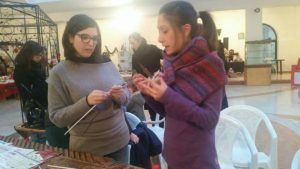 –Workshops and lectures about common issues: European citizenship, cultural tourism (educational tour in the archeological site area). The choice of these areas was aimed at allowing the direct involvement of citizens, cultural events and informal meetings. Nuoro and Elche have in common a strong touristic tradition but usually, tourists usually don’t experience the full beauty of these regions, but just the sea. In the context of the above, the two municipalities read and signed the Twinning Oath.